Cote de Pablo was born in Santiago, Chile, but was raised in Miami. 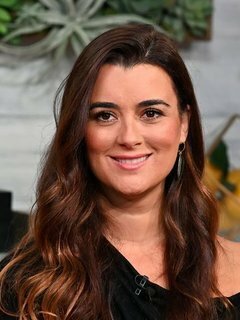 Cote attended Arvida Middle School in Miami, Florida, and later in life attended Carnegie Mellon University. She graduated in 2000 after studying music theater. Whilst at Carnegie Mellon, Cote appeared in several theater productions, including Indiscretions, The Fantasticks, The House of Bernarda Alba, And The World Goes 'Round, A Little Night Music and Cloud Techtonics. Her first television role was hosting the 1994 show Control, alongside Entertainment Tonight host Carlos Ponce. In 2001, Cote appeared on the New York City Public Theater stage in the Shakespeare play, Measure for Measure, then moved onto roles on the small screen such as All My Children. Cote had a small role on the long-running soap alongside Rudolf Martin who would later play her half-brother Ari Haswari in NCIS. Cote guest-starred as Gina in the CBS series, The Education of Max Bickford, acting alongside Academy Award winners 'Richard Dreyfuss' and 'Marcia Gay Harden', Golden Globe winner Regina Taylor, veteran actress 'Helen Shaver' and actress 'Katee Sackhoff'. She also had roles in The Street and When I Grow Up. In 2004, she starred in the short lived FOX series, The Jury playing Marguerite Cisneros. In 2005 she made her Broadway debut as Dolores Fuentes in The Mambo Kings, and is currently starring in the hit CBS navy crime series, NCIS, as Mossad Officer Ziva David alongside 'Mark Harmon', 'Michael Weatherly', 'Pauley Perrette', 'David McCallum', 'Sean Murray' and 'Lauren Holly'. Cote is currently living in Los Angeles, and spends her free time writing and performing original music. She was born in Santiago, Chile, but was raised in Miami. When she hosted the show "Control", Cote went by the name 'Maria Jose de Pablo'. She attended Carnegie Mellon University in Pittsburgh, where she studied music theater and graduated in 2000. Appeared in a Volkswagen commercial in 2004, entitled "Rear View." (Marketing Y Medios).